La Mer introduces a Limited Edition Lifting Face Serum Grande 75 ml.The Lifting Face Serum is designed to work immediately at visiblylifting skin's appearance and restoring clarity and brightness. At the heart of The Lifting Face Serum is a rare blue algae with thepower to remarkably lift the skin's appearance. Specially harvested in early autumn to capture its optimal potentialthis protein-rich algae flourishes in pristine waters fed by a cascade of ancient glacial waters and undergroundsprings. Once harvested, the nutrient rich blue algae is specially fermented to generate an explosion of activity. The exceptional lifting properties of the blue algae come to life as it journeys through a meticulous biofermentation process mastered bythe Max Huber Research Labs, boosting its efficacy far beyond anything previously imagined. 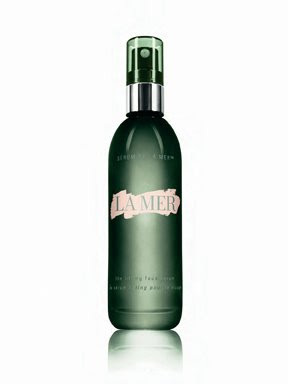 Devotees of La Mer and the Lifting Face Serum in particular will bequick to snap up this grande size of one of their favourite products. With the oscars set for the weekend, stars will be sure to stockpile on this one.